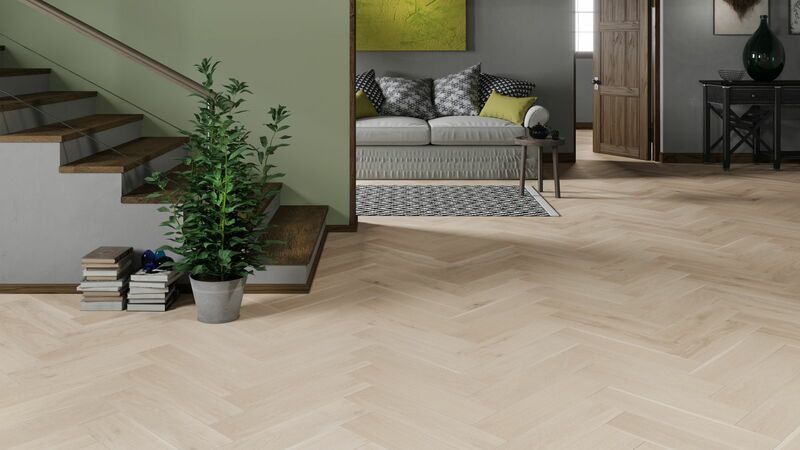 This light and airy Natura oak white herringbone engineered wood floor offers great value and has been brushed and matt lacquered to offer a fantastic depth to the floor with a light, natural finish. An added feature of this floor is the locking system, it can be used as a floating floor instead of being stuck down, making installation a whole lot easier. Feel free to read our guide to fitting an engineered parquet wood floor. My fitter has not fitted herringbone style, click flooring before. Do you have a fitting guide? Hello, My floor area is 36sqm. 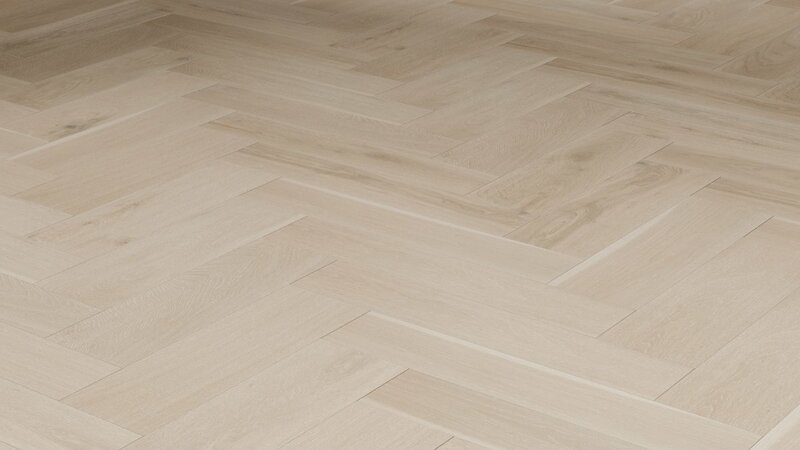 To achieve the herringbone pattern, do I need to order a larger quantity than 36sqm and if so how much more? Many thanks! We recommend that you need to order approx. 10% more flooring. Can this floor be used in the kitchen? Can I use the Natura Oak white herringbone engineered parquet on stairs? Is there an appropriate product with the same colour/finish?